On zipmec.com you will find all the services provided by Edysma for all the operators of the fruit and vegetable sector: you can find information, news, advertisements, advertorials, web feeds that you can use for free in order to be constantly updated and informed about innovations from the world fruit and vegetable companies and about all the activities linked to this sector, such as exhibitions, conventions and events of the fruit and vegetable sector; furthermore, it is also possible to access all the other websites of the Edysma group. Zipmec.com is an essential tool to promote the trades, the import/export among companies of the world fruit and vegetable sector (thus producers of fruits and vegetables, producers of exotic fruits and fresh vegetables, exporters and importers of fruits and vegetables, retailers of fruits and vegetables, wholesalers of fruits and vegetables, producers of organic fruits and vegetables, producers of exotic fruits, producers of seasonal products, brokers, transport and logistics companies, companies for fruit and vegetable packaging, sellers of 4th range products, etc.) that almost always have been granted certifications that guarantee the high quality of their fruit and vegetable products. zipmec.eu: it is the international search engine for fruit and vegetable companies, for products and all the activities related to the fruit and vegetable market; with zipmec.eu you can do free and guided searches (employing different parameters such as the kind of product, the company activity, the geographical position...) to find, among the fruit and vegetable companies listed on the zipmec.eu database, those that you are more interested in. It has different search options and the information is constantly updated. zipmecdigital.eu: it is the website where the users can leaf through the online digital version of the “Mecortofrutticolo” and “Fruitnewsletter” publications of Edysma, that report the best world fruit and vegetable companies (companies that produce fruits and vegetables, producers of fruits and vegetables, producers of exotic fruits and fresh vegetables, exporters and importers of organic fruits and vegetables, producers of exotic fruits, producers of seasonal products, brokers, transport and logistic companies, companies for fruit and vegetable packaging, sellers of 4th range products, etc.) and their advertisements. mecortofrutticolo.eu: it is the website where the users can update the information about their own fruit and vegetable company, in order to gain more visibility on the sites of Edysma. Registration on the site allows any fruit and vegetable company, within its private area, to enter, modify the company data, list the activities carried out, list the products produced, traded, exported or imported, tell the kind of cultivations employed, report the contacts of the company, the quality certifications gained, enter a description of the company, show the company position on maps, enter advertisements, news, information, tell to which events and exhibitions the company will take part, specify the keywords with which you want that your company is found and many other services, with the purpose to obtain the highest visibility both on the websites of Edysma (zipmec.com, zipmec.eu, zipmecdigital.eu) and on the paper and digital publications “Mecortofrutiicolo” and “Fruitnewsletter”. On Mecortofrutticolo you can also purchase the paper and digital products about the fruit and vegetable sector of Edysma: accessing the service “Store” from the site you can purchase the paper or digital version of “Mecortofrutticolo” and “Fruitnewsletter”, yearbooks that list the companies that work in the European and world fruit and vegetable market, with certifications, advertisements and news from the fruit and vegetable market. It is also possible to buy advertising spaces on the digital and paper publications “Mecortofrutticolo” and “Fruitnewsletter”, and web banners on the websites to gain more visibility online where there is much competition. RSS feeds: it is a system that permits to easily share the contents of a website on different devices (computers, phones, tablets, etc.). They include information, promotions, advertisements, news and updating related to all the fruit and vegetable sector, from fruit and vegetable products (such as fresh fruits and vegetables, exotic fruits, seasonal vegetables, 4th range products, organic vegetables and fruits) to all the companies somehow related to the fruit and vegetable market (such as companies for the fruit and vegetable packaging and packing, wholesalers of fruits and vegetables, producers of fruits and vegetables, fresh fruits, etc.). You can subscribe to the following RSS: sell and buy, latest advertisers, participants to events and exhibitions, news – press releases – products’ launch, latest updated companies, company descriptions and latest events/exhibitions. Advertisements: the insertion of a web banner on zipmec.com and on all our other websites, assures to any fruit and vegetable company or company related to this sector, to gain high visibility on the Internet and therefore to be easily found by the other surfers and in particular by the companies of the world fruit and vegetable sector, thus increasing and expanding the company's profits. You can publish web banners about any kind of fruit and vegetable product, such as fresh, exotic, seasonal, organic fruits and vegetables, or about machinery for agriculture, about logistics and the harvesting of fruit and vegetable products, specifying when you want to start the publication on the sites of Edysma and when you want to stop it. Fruit and vegetable varieties: it is a photographic book with pictures of the main products treated (for example: apples, tomatoes, potatoes, etc.) by the advertising companies of “Mecortofrutticolo” and a brief description of each variety represented. The idea to create a website arose, in the early Nineties, from the will to provide further services to the customers of “Mecortofrutticolo”, a publication that was born in the paper version at the end of the Fifties to give an up-to-date tool to the fruit and vegetable companies in Europe and in the world, such as operators in this sectors, producers of fruits and vegetables, producers of exotic fruits and fresh vegetables, companies that deal with the import/export of fruits and vegetables, retailers of fruits and vegetables, wholesalers of fruits and vegetables, wholesale of vegetables, producers of organic fruits and vegetables, producers of exotic fruits, producers of seasonal products, brokers among fruit and vegetable companies, companies for the transport and logistics of products, companies for the fruit and vegetable packaging, companies that sell 4th range products, companies for the fruit and vegetable packing, etc. The success of this experience pushed the Edysma group to develop further its publications for the operators of the fruit and vegetable sector with the new yearbook “Fruitnesletter”, created in 1991 to ease the trading relationships among companies that deal with the import/export, the production and the trade of fruit and vegetable products of the Eastern Europe, of the Mediterranean area and of the Northern Africa. The high visibility of the advertisers of the paper publications “Mecortofrutticolo” and “Fruitnewsletter” have finally convinced the Edysma group to create other websites to increase the online visibility of the operators of the fruit and vegetable market and of the companies that deal with the production, the sale, the processing, the wholesale, the import/export of fruits and vegetables all over the world, with the related certifications that guarantee the high quality of their products. The Edysma group has the purpose to advertise in the best way its customers and the advertisers, the fruit and vegetable companies and the operators of this sector. 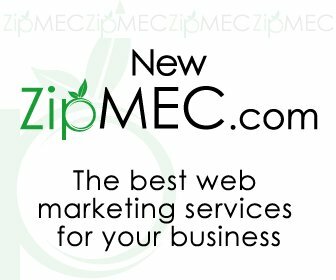 Visit zipmec.com and the other websites of Edysma.